Students and professors are concerned about an uptick in academic dishonesty cases brought before the Judicial Board (J-Board) that have originated in the computer science department. Students, who have received punishments ranging from a warning to a four semester suspension from the College, have said they feel the department’s plagiarism policies are unclear. Other students say that fear of plagiarism inhibits collaboration and has discouraged them from taking higher-level computer science courses. So far this year, 18 total academic dishonesty cases have been brought to the J-Board. The Orient confirmed with individual students involved in the cases that at least six of these cases involved plagiarism in the computer science department. Last year, 11 students were brought to the J-Board for academic dishonesty in Introduction to Computer Science. The increase in academic dishonesty cases in the last two years has largely been due to cases in the computer science department. Between the 2002-2003 academic year (the last continuous year for which statistics are available) and the 2014-2015 academic year, the J-Board heard an average of 8.7 academic dishonesty cases per year. Prior to the 2015-2016 academic year—when it heard 22—the J-Board had not heard more than nine academic dishonesty cases in any year since the 2006-2007 academic year. Chair of the Computer Science Department Laura Toma said she is concerned about the plagiarism cases but thinks that they reflect students’ desperation to get their work done, rather than flaws in the department’s policies. Toma noted that while the number of computer science-related cases brought before the J-Board has increased, so has the number of students enrolled in computer science classes. Computer science is now the fifth most common major at Bowdoin. In the class of 2016, there were 60 computer science majors compared to just 10 computer science majors in the class of 2012. Toma said that collaboration is crucial in computer science but must be done properly. Toma said that the department makes clear the difference between plagiarism and permitted collaboration. Although the exact policies vary based on each professor and class, the general policy of the department is that students are encouraged to collaborate but cannot use any written medium or look at each other’s laptop screens. Associate Professor of Computer Science Stephen Majercik suggested that the computer science department’s attitude toward plagiarism does not differ greatly from that of other departments. To detect plagiarism in lower-level classes, computer science professors can run code through a program called Measure Of Software Similarity (MOSS). 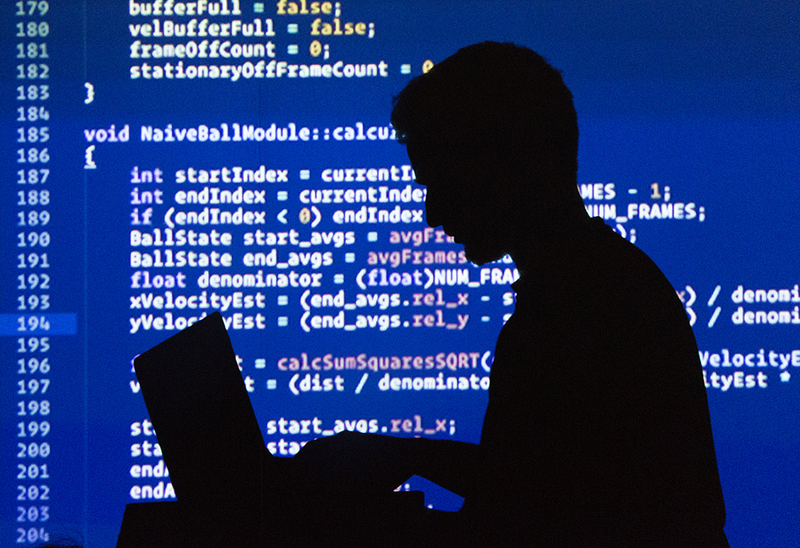 If the program detects that students’ code is particularly similar, the program flags the code and professors can choose to inspect the code manually. “What that software says, it’s not set in stone,” Toma said. Professors can then decide whether to bring an academic dishonesty case before the J-Board. However, Associate Dean for Upperclass Students and Advisor to the J-Board Lesley Levy said that the College encourages faculty to bring all cases before the J-Board rather than handle them internally. 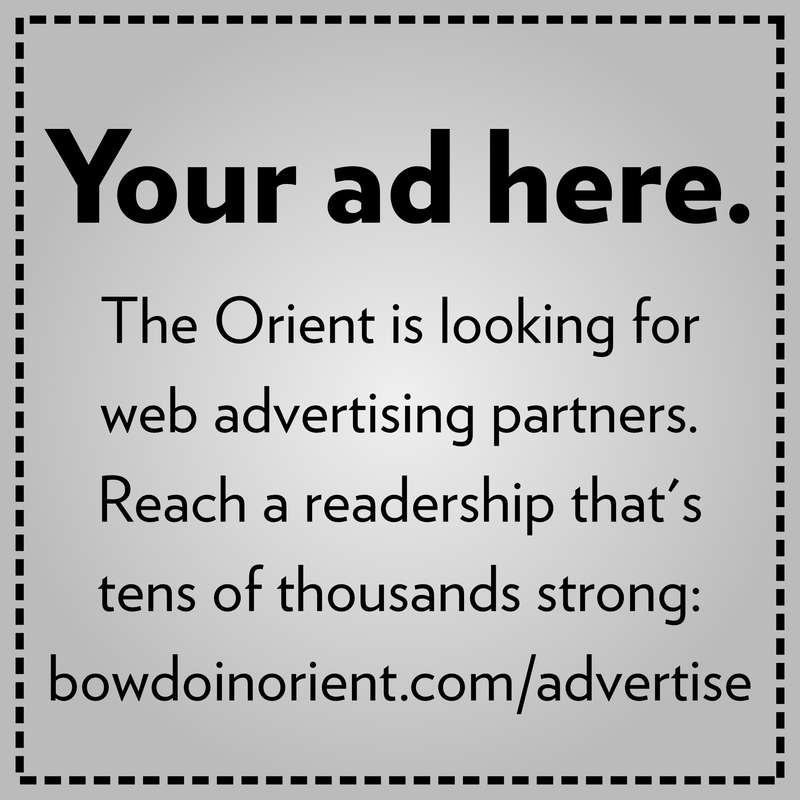 One student, who spoke with the Orient on a condition of anonymity, was brought before the J-Board on charges of academic dishonesty last semester after he was accused of plagiarism in his Introduction to Computer Science class. He said that he had explained a program conceptually to two other students—who were likewise brought before the J-Board—but did not feel that his actions amounted to academic dishonesty. In preparation for his hearing, the student reached out to computer science professors at other colleges and received letters from two scholars stating that MOSS, the plagiarism detection software used in computer science courses at Bowdoin, is not effective on simple programs, like the ones students create in Introduction to Computer Science. However, the student said he was told that he was not allowed to use this evidence during his hearing. This student said he feels that the structure of the J-Board hearings makes it difficult for students to prove their innocence, particularly when professors are seen as experts. Although the J-Board gave him only a warning, the student said he does not plan to take another computer science class. He said he feels the collaboration policies were not defined clearly enough and has had difficulty grappling with the disconnect between the department’s collaboration policies and the importance of learning from others in a liberal arts education. In a separate case this semester, three first-year students in Data Structures received punishments of three or four-semester suspensions after they were brought to the J-Board for academic dishonesty over collaboration on the first lab of the semester. These students likewise spoke to the Orient on the condition of anonymity. Two of these students were in a Data Structures class taught by Majercik while another was in Visiting Assistant Professor of Computer Science Allen V. R. Harper’s section of the same class. The students were accused of collaborating on the first lab of the semester but did not find out that their cases would be taken to the J-Board until just before Spring Break. “[The accusations] really caught me off guard. 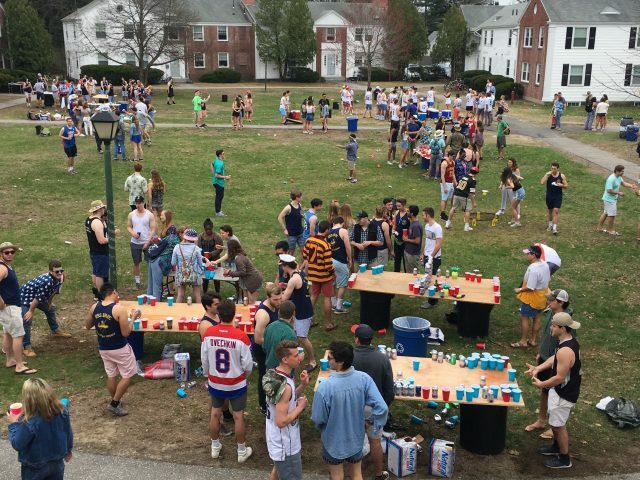 I thought at the time I hadn’t done anything wrong, but apparently, according to the J-Board, I did [do something] very wrong,” said one of the students. The students said that they collaborated on writing code for the lab together. Although they said they did not look at each other’s laptops or code, they did write the code together on a piece of paper, which they did not realize was a violation of the department’s academic dishonesty policy. Right before Spring Break, the three students were respectively called into their professors’ offices and told that they would be brought before the J-Board. Their hearings were scheduled to take place during Spring Break, but they kept being rescheduled and were eventually held on April 8 over the course of the day. Decisions about the students’ sanctions were released later that night. The students all had individual hearings on April 8 and were not allowed to talk to each other between their hearings. One of the students in Majercik’s class confirmed that the three students knew that they should not have texted each other but said their goal was to check in on one another, not mislead the J-Board. “I know we did a bad thing. Looking back, we wouldn’t have taken that kind of action,” he said. The deans presiding over the hearings discovered that the three students had been texting after a dean had seen a Facebook message between two of them. The decision regarding the students’ punishments was delivered after the hearings. Two of the students received three-semester suspensions; one received a four-semester suspension after he deleted the texts messages between the three students. All three received F’s in their respective classes. The students decided not to appeal the decision. The J-Board does not allow appeals except in the event of a procedural error or if new information becomes available. Currently, the three students plan on coming back to Bowdoin after their suspensions are complete. One student said although he feels the J-Board process was fair, the experience felt intense and emotionally draining. “For me, it was particularly scary and taxing, and the punishment seemed very harsh at the time. But I guess if the severity of the J-Board [process] was made more clear and how Bowdoin expects you to act, it may have prevented my situation in general,” he said. Another student questioned the severity of his punishment. “How is kicking someone out educating them?” he said. Other students in the computer science department have noticed the uptick of plagiarism in the department. Beleicia Bullock ’19, a computer science major and math minor, has not been accused of academic dishonesty. However, Bullock feels that the department could be clearer about what constitutes plagiarism, particularly in lower-level classes. Mackenzie Schafer ’19, a computer science major currently enrolled in Introduction to Systems, said she avoided collaborating with other students in her lower-level computer science courses. “I just never really got into the habit of working with other people just because I didn’t want to accidentally do something I wasn’t supposed to do,” she said. Majercik said the computer science department wants to encourage student collaboration. 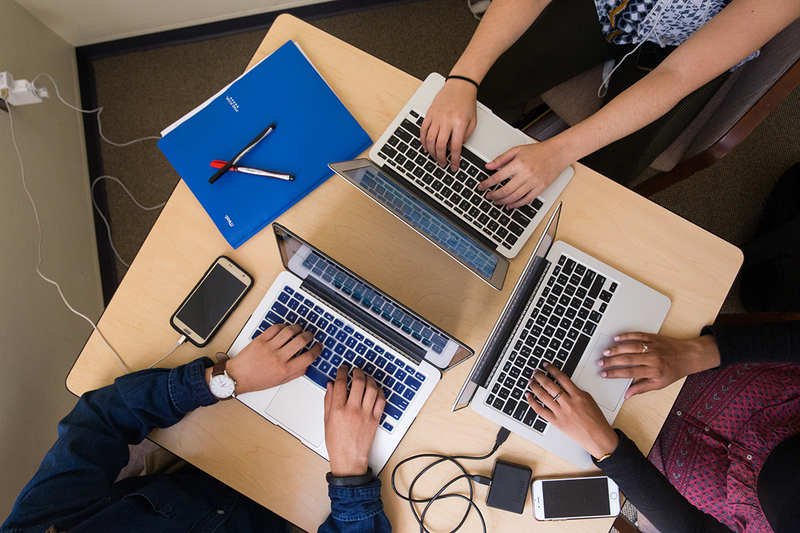 As students move to upper-level computer science courses, assignments become more difficult and students say that collaboration becomes more necessary. Bullock expressed concerns about the effect of so many academic dishonesty cases on the department’s culture. Liza Tarbell contributed to this report. I think the Computer Science department could learn a lot from the Mathematics department. As a student in both, I find the culture of collaboration in Mathematics to be incredibly healthy, where I learn a considerable amount from my peers in addition to the professor’s lectures. Computer Science is entirely different, and has steered me away from continuing the course of study. It is an anomaly in Bowdoin’s culture; there is a coldness amongst students. 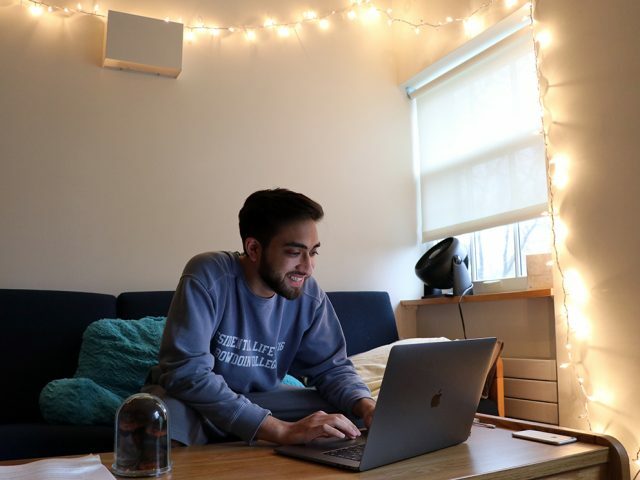 The level of separation between students, prompted by fear of “getting J-Boarded,” creates a dynamic I hoped to avoid in choosing Bowdoin over other schools. I definitely agree with this students perspective on the culture of collaboration in the Computer Science Department. On so many occasions in my computer science class I took my first year, my professor encourage students to work on outlining pseudo code together in class. Often times from our collaboration, we’d get identical lines answers/lines of code. This is the second year straight the J Board has had so many hearings in the same department and it’s definitely effected the culture in the department. In my upper level Comp Sci classes, my colleagues and I don’t even discuss assignments because of the fear we have in facing potential consequences for a policy that is really defined loosely. I think the college should really do some deep reflection and find out what’s really going on now the department. I know a ton of students who want to take computer science but are disincentivized from doing so because so many students have voiced the same concerns about the department. This isn’t what a “liberal arts” education should be. I’m on faculty at another university, and have experience with review boards. My previous experience had been that the goal of such boards is to punish only egregious offenses for which there is much evidence. However this is not my experience at Bowdoin. My son is a Bowdoin student, and appeared before JBoard. In my son’s case, a Comp Sci professor brought charges in large part because the professor said that he had an eyewitness to an act of plagiarism. But at the hearing, the so-called eyewitness completely refuted the professor’s claim, and the professor seemed to back off from his charges. In spite of this, the JBoard still wound up giving out a punishment, and the dean told my son to be happy because it was the least severe punishment that the JBoard ever gives out. Apparently, not guilty is simply not an option. I conclude that there’s simply a lot of respect for the professor, even when wrong, and little for the student, even when right. Punishment of the innocent can and does occur. I realize that JBoard is no court of law, but nevertheless I believe that Blackstone is rolling in his grave. Notice the computer science professor does not even contemplate the notion that the problem could be, at least in part, with the professors and how they communicate their expectations. Also, the case of the student who obtained evidence in the form of letters from other professors but was unable to use it is ridiculous. How in the world is a student supposed to defend themselves against an allegation if they can not submit evidence in their defense?